Return to: OzMosaics STUDIO WEBSITE :: Product Info Booth :: Customer Service Desk - Contact us! CERAMIC TILES - 30cm x 10cm FABULOUS COLOURS! Shop the MOS! Mosaic Online Store! Mosaicist | Teacher Studio OzMosaics Australia. please do not hesitate to contact us! We look forward to assisting you. Gift Certificate - a creative gift. Certificates may be redeemed for a mosaic class, a class deposit and/or mosaic supplies @ services at Studio OzMosaics or on MOSA. Contact us to organise your Gift Certificate! Have you been trying to buy "thinset"
(cement based adhesive) suitable for mosaic projects)? Thinset, Grout, Epoxy Paste, Hydroban and more! 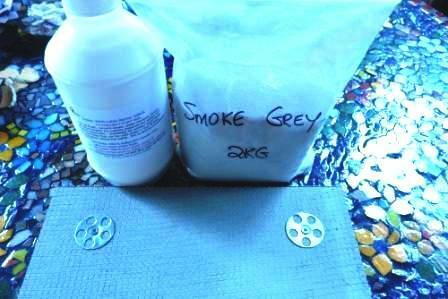 It's the best product for your mosaics! Packaged in smaller lots for mosaic artists. famous mosaic tips and tricks! New arrivals at the MOS! Score the tiles easily with OzMosaics Scorer/Breaker tool! Shape with Leponitt Mosaic Wheeled Nipper tool! or our Standard Tile Nipper! File with our fabulous tile tile! located in top left hand column. We stock everything you need to make beautiful mosaics. 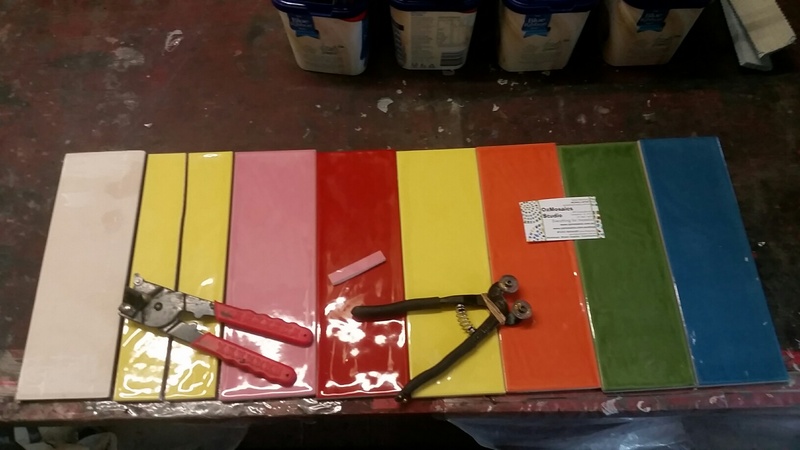 Grouting Accessories (sponges, notched spreaders, floater tools, tweezers, jewellery blanks). New! Cement Oxides! Blue, Marigold, Black & Green! If you can't find what you are lookling for, please contact us! Please do not hesitate to contact us for mosaic product enquiries. Leponitt Mosaic Wheeled Cutters - a must have! Simply the best mosaic tool and OzMosaics have the lowest price at $39 each! Cash, Eftpos & Credit Card. a wonderful gift for someone special. OzMosaics has been supplying mosaic materials & tiles to mosaic enthusiastis and professionals for almost 2 decades! Australia Post, Fastway Couriers, Store Pickup available. Contact us to discuss overseas orders or if you have any questions regarding postage or freight. Contact us if you need to return or exchange products. or refunded within 7 days. Freight costs are not refunded. Customer pays the postage on returned items. We wish you the joy of mosaics! It's addictive but very good for you! Please phone Dave Robertson on 07 3847 4873 to make an appointment. Appointments are essential. Thank you. of beautiful DYNASTY GLASS SMALTI. Bricks, Blocks & Irregular & mixes! Incredible value! $3.50 per 100 grams!!!!! 264 shades + gold topped smalti. Tool link: We stock Italian made Traditional mosaic Hammer & Portable DeskTop Hardies! Shape your smalti using Leponitt Mosaic Wheeled Cutters, Hammer & Hardie or tile nippers. 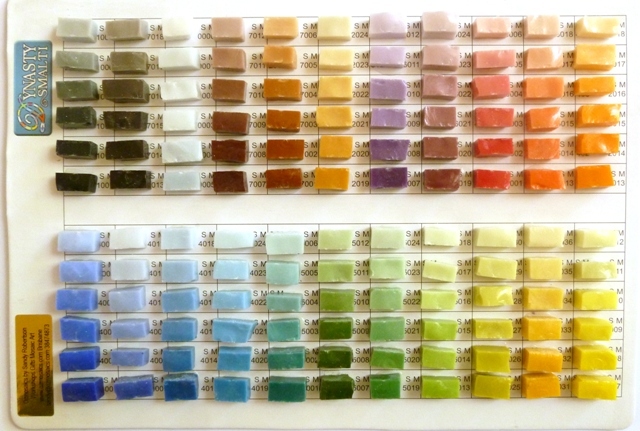 Sandy recommends mixing smalti with other mosaic tesserae for exciting modern mosaics! 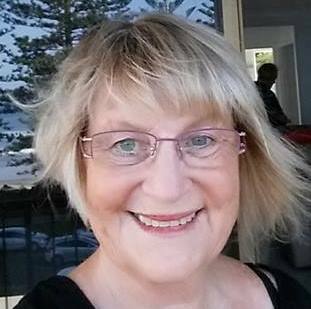 Enrol in our smalti workshop to learn smalti mosaic methods with Sandy Robertson! 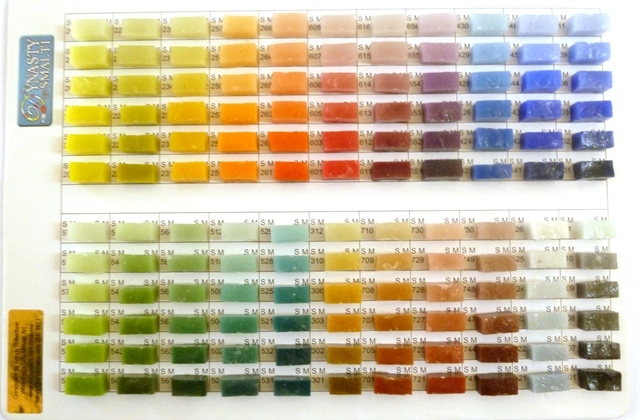 MOSAIC OXIDE TINTS IN BLUE, GREEN, MARIGOLD & BLACK! Learn to Mosaic with the Mosaic Guru, Sandy Robertson! 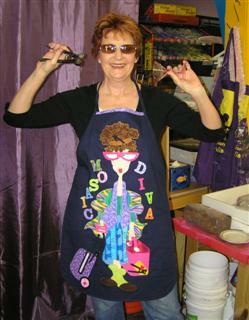 Visit this link for more information on mosaic workshops and classes. OzMosaics workshops are structured for absolute beginners to advanced students. You will take home a fully grouted mosaic and a ton of mosaic tips and tricks! 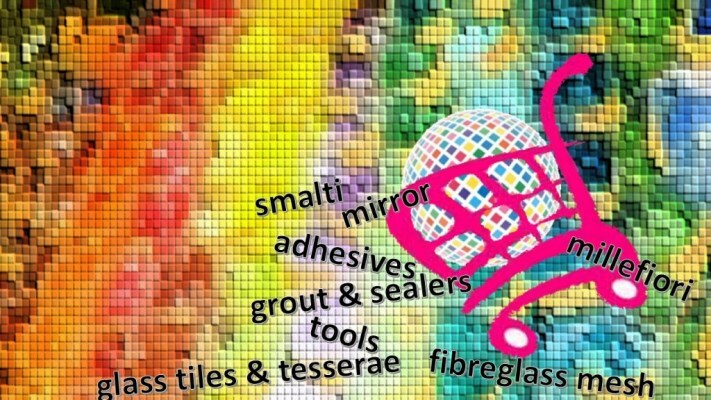 OzMosaics has everything you need to create beautiful mosaic art and craft! 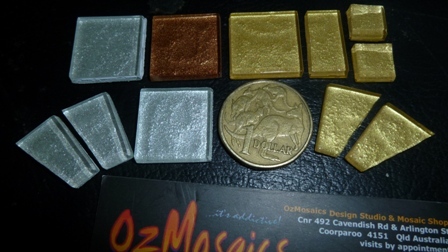 OzMosaics are mosaic specialists in community, school, commercial, bespoke & public mosaic art projects, Australia Wide. Offshore projects include Christmas Island, Norfolk Island & Hong Kong. Contact us to discuss a mosaic collaboration. If you have a mosaic project in mind, book in for our one day mosaic beginner workshop in Brisbane Queensland Australia to gain confidence and mosaic skills. We supply and post to Brisbane, Sydney, Melbourne, Adelaide, Perth, New Zealand, Darwin, Hobart and most Australian towns. 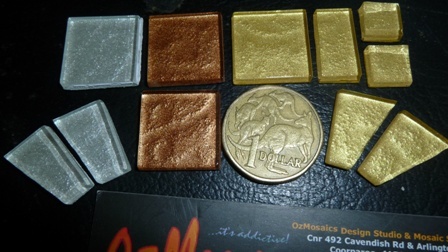 OzMosaics uses Fastways Courier Service and Australia Post to deliver your mosaic products. Reliable, excellent service with products you can trust to make your mosaics last the distance. Beware cheap mosaic tiles and imitation tools. You are assured of the best at OzMosaics! SOMETIMES FREIGHT TO WESTERN AUSTRALIA MAY CALCULATE INCORRECTLY, IN THE ONLINE STORE. PLEASE CONTACT DAVE IF YOU EXPERIENCE ANY FREIGHT ANONAMALIES WHEN PLACING YOUR ONLINE ORDER. THANK YOU. Customer Service Desk - Contact us! :: Return to: OzMosaics STUDIO WEBSITE :: My Account :: Site Map :: Privacy Notice :: Customer Service Desk - Contact us!